Once a month this semester UWM students will be leading conversations on various topics. 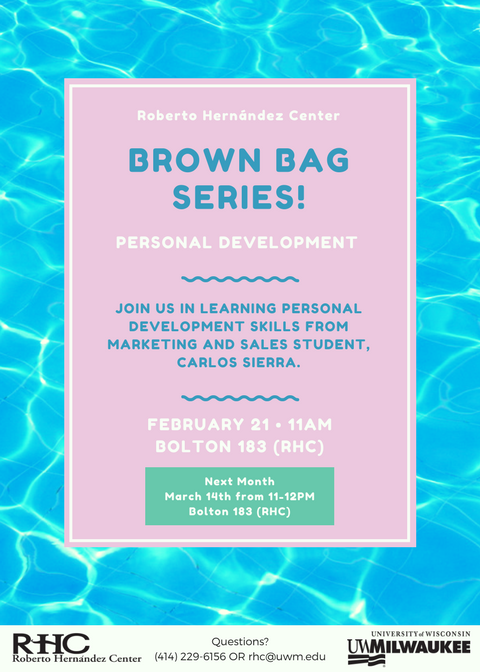 This month, join us in learning about Personal Development skills presented by Marketing & Sales student, Carlos Sierra. Save the date for future series events: March 14, April 12 and May 10. Campus Leadership Project – Now Hiring!